Do you feel frazzled? Do you have too much to do and not enough time? Life is complicated! Do you long for a time when things were simpler and the pace of life was slower? How can you simplify your life in today's fast-paced, complex world? Here are a few tips that will help you simplify your life and regain peace of mind. This may surprise you, but you cannot do it all! That's a fallacy that some of us have grown up with. We've been told that we can do it all and have it all. Ad Space Closes this Friday, June 8th - Don't Miss Out! Materials Due June 11th... Contact David Leighton at [email protected] or call 818-652-5854. Are you missing an opportunity to move your business forward faster and smarter? Did you know that over 25% of the revenue of the top 2,000 US and European firms comes from strategic alliances? And that number is it expected to grow to 35% in 2 years. How does your firm stack up? While there are many types and purposes for strategic alliances, this column is focused on choosing strategic alliance partners that drive sales. June 12, 2007 • Irvine, CA • Register Now! A perennial favorite in a new location: City's Best 2007 Award Winner Bacchus' Secret Cellar is the setting for our 2nd quarter wine tasting event. The tasting program includes a flight of six wines and assorted appetizers. If technology is a strategic component of your business, join WITI OC for an evening of professional and viticultural inspiration! This is a must-attend event for any woman who's interested in building a vibrant, tech-centric network on a national/international scale. This is also a key event for organizations seeking to attract and retain tech-savvy women in a competitive global marketplace. Are You Swimming in the Wrong Pond? When you look at fish it is obvious how affected they are by the health of their environment - the water they swim in. If they are swimming in a pond where the water is polluted, or the pond is choked with weeds, or where there are nasty predators waiting to eat them - their behavior will be desperate, furtive, and survival-focused. We humans are not so different. We swim in the environments of our jobs and relationships - and when the conditions of these environments are not right for us, they affect our sense of well-being and our actions just as surely as the nature of the water they swim in affects fish. Founded in 1982, TechProse works with clients whose competitive advantage depends on effective deployment of the latest technology. 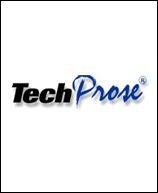 TechProse consulting focuses on Consulting, IT solutions, Technical Writing, Training in clasrrom and CBT based, networking, ERP - SAP, Oracle, Peoplesoft and More!